Home Managed IT Services Is a remote office right for you? 2018. The year of always being connected. Whether you’re at your kids softball game, on vacation in another country, or watching the NBA Finals in your recliner, there is always a part of us that is in “work” mode. I won’t go into the good and the bad of this here, but with the “Always On” work mentality, you and your employees can be effective from anywhere in the world. A lot of businesses today do need a physical office for many reasons, but having that remote office capability for your employees while still being able to give your customers the best service possible is just as equally important nowadays. A remote office allows you as a recruiter to tap into many different regions, not just local talent. Many of the most talented individuals available on the market are looking for a career with a work/life balance and the flexibility of working anywhere with an internet connection. The first step in allowing remote office capabilities is having the right workplace culture. Everyone has to be on board, and there must be a game plan in place for it to work, but when the culture and systems are in place, good things will happen. 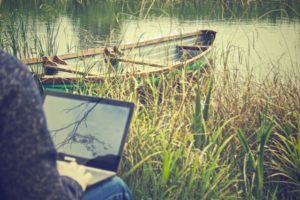 I will not go into detail in this article about what systems are needed to make your remote office dream a reality, because every SMB has different requirements as to how THEY do business. If you would like to find out what your business needs to accomplish in order to support remote offices, please contact us at jbales@balestechnology.com or call 260-302-1300.